Generally you will be on the phone (my number is 504-717-7917) with me while doing this. 3 - Click on the Run box. Note: If you are running a web browser other than Internet Explorer than the above box will not appear and you will need to take the appropriate browser specific steps to run the download. 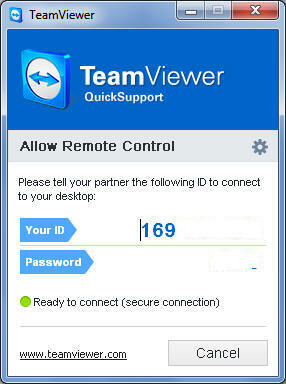 In order for me to remote in you need to tell me the two codes ("Your ID" and Password") displayed in the TeamViewer window.